Last Wednesday 1st of November I went to Pickering Park. There were six Mute Swans. 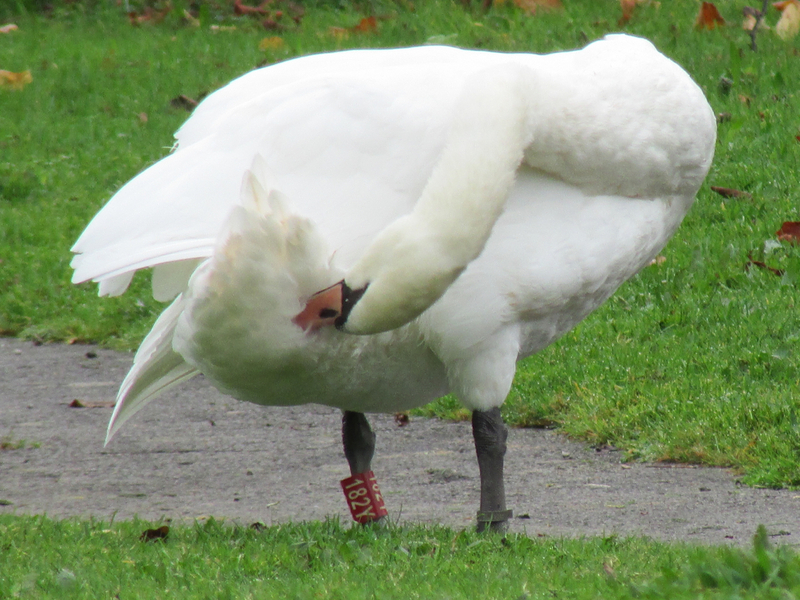 The resident cob (841 yellow ring), followed by the resident pen (ringed 842, top shot) was busy busking towards a white swan in the lake, who tried to avoid him and ended up preening on the bank at one end. It was a polish variant one, possibly a young of last spring, and when it came out to the shore I could see it was also ringed (red 182Y). 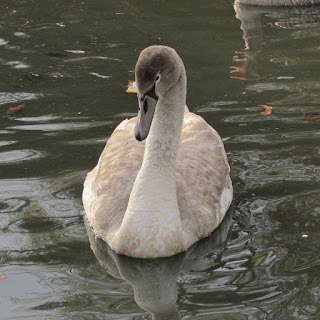 There were also three brown-feathered young swans, starting to moult into adult plumage. Just one of them was ringed (red 537). I assumed they were offspring of the resident pair. One of the brown young kept near the polish one being chased, joining it on the shore. 182Y at Pickering on the 1st of November. The brown swan accompanying 182Y at Pickering. The resident pen at Pickering. On Sunday 5th I went to Pearson Park. I was pleasantly surprised to find a mute swan, brown, not ringed. 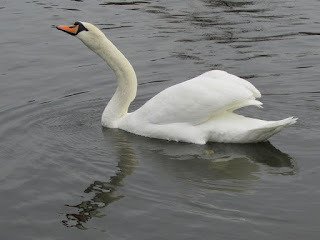 After a while I realised that there was another mute swan, white, on the other side of the pond. 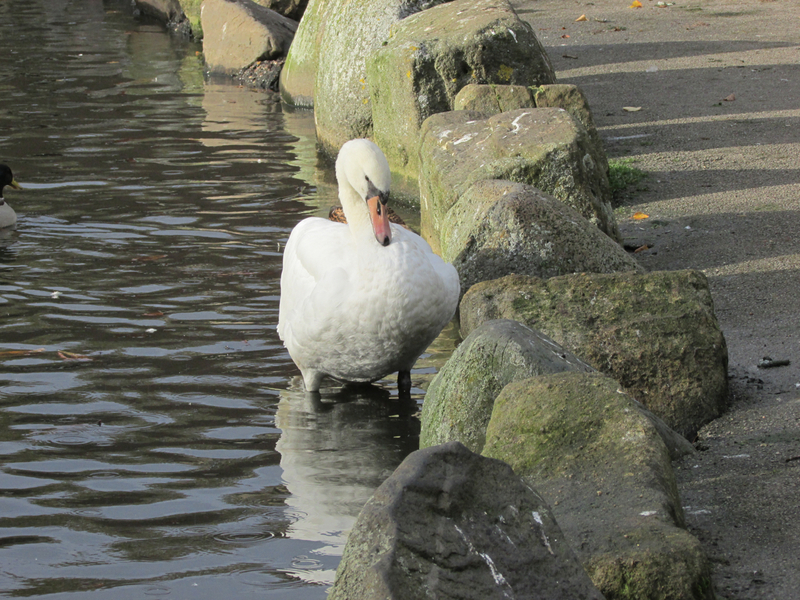 The small lake at Pearson Park has very rarely held swans, and not for too long. The last one I saw there was a juvenile from November 2005 to March 2006, when another two appeared in the park before all departed. I casually checked for rings, as I often do, and after some trying I managed to read it. I was surprised to find that the white one was the same that was being chased at Pickering Park, 182Y! The brown young wasn't ringed, but its plumage development is consistent with the one keeping near 182Y at Pickering, so both birds must have left the lake together, possibly an incipient young couple? 182Y now at Pearson Park. 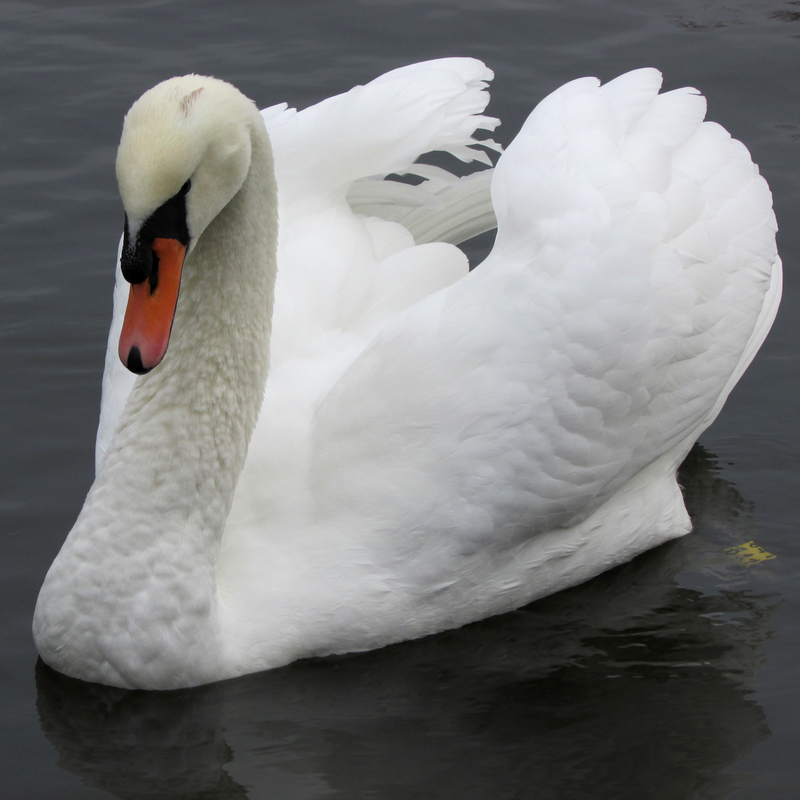 I was able to read the ring as the swan swam. The brown unringed young at Pearson park. 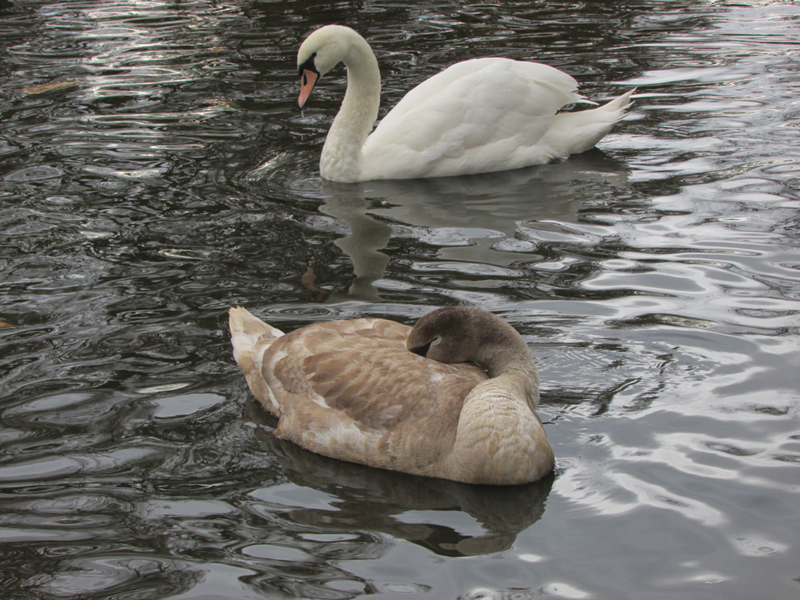 Both swans at Pearson Park. 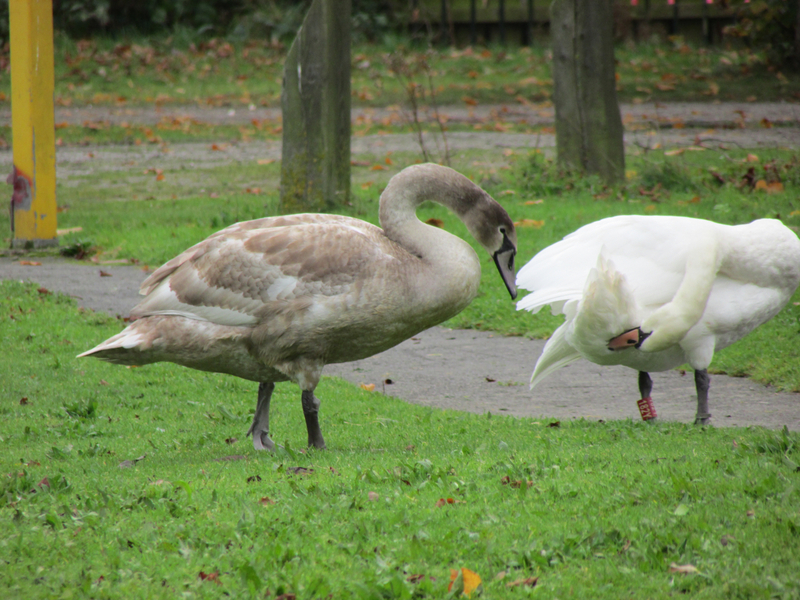 The white swan showed some aggressiveness towards the brown one, pecking it when it got close. The swans are getting a lot of attention at Pearson Park. I think the brown one is a male, as it occasionally fluffs up its neck which looks thick in comparison to the other. Still there today, being fed by locals. There is currently a good empty breeding territory at Oak Road lake, it would be good if these two moved there!